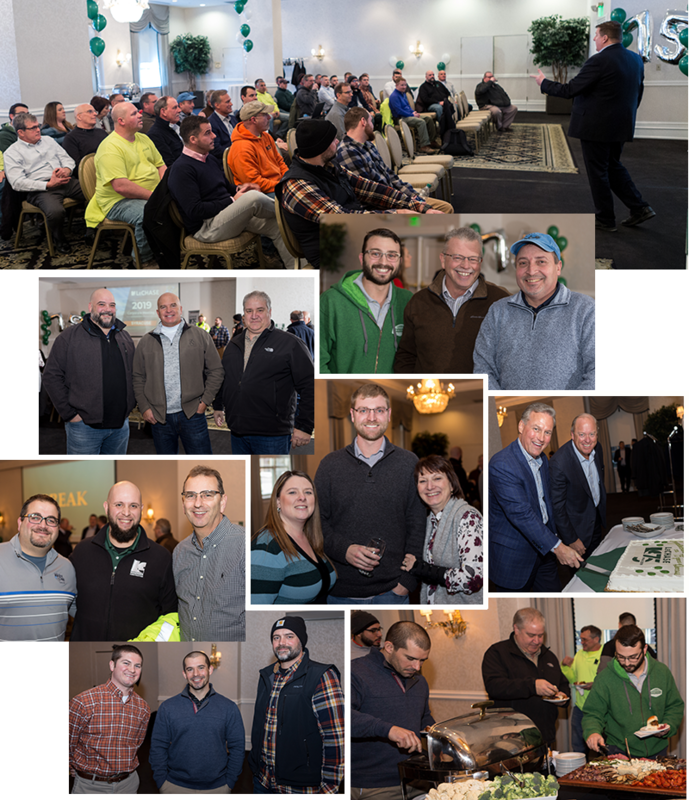 By Jeanne Eason February 1, 2019 Community, Syracuse, N.Y.
Syracuse had a great turnout for its corporate meeting, held January 17 at the Genesee Grande Hotel. In addition to hearing about company performance, everyone enjoyed learning more about the history of LeChase. After the meeting the team celebrated the company’s 75th anniversary with balloons, drinks, appetizers and cake.